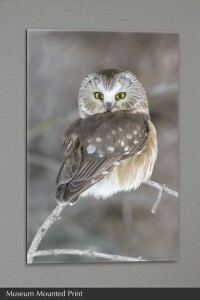 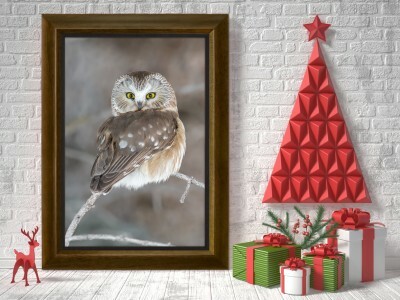 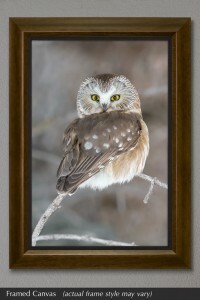 As the midwinter sun sets, a northern saw-whet owl perches at the forest’s edge to begin its nightly hunting. 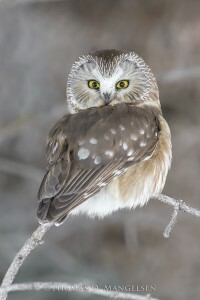 Despite their diminutive size – standing only eight inches tall – saw-whet owls are fierce predators. 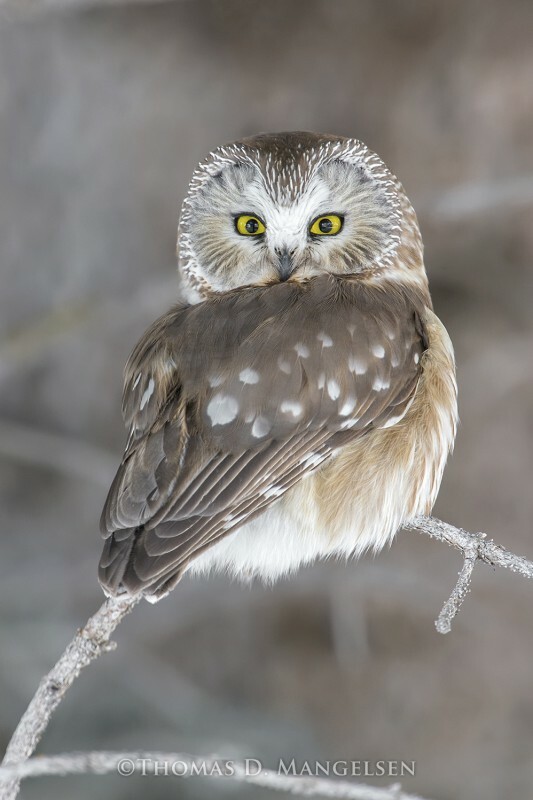 Year-round residents of the northern and mountainous forests of the United States, they are well adapted to hunting small rodents in both winter and summer. 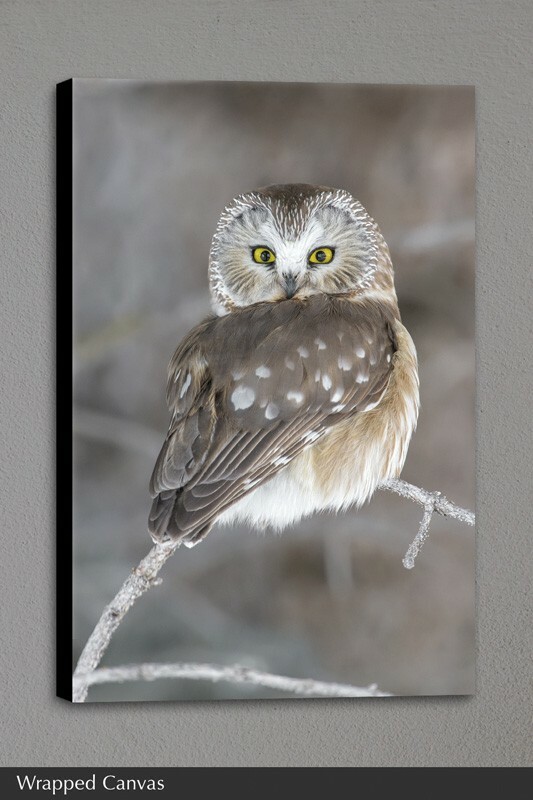 With their large yellow eyes and silent flight, these nocturnal hunters are a mouse’s nightmare. Being small and secretive, a sighting of these beautiful birds of prey is often rare, making an encounter with one incredibly exciting.